Find My Workspace lists over 95% of the business centres market in Stoke-on-Trent. Simply click Request Quote to check pricing for one office, or Add to Basket for multiple offices. 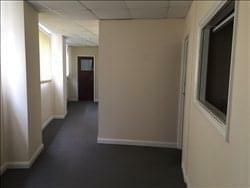 Versatile ground and first floor office space, providing a range of large open plan and privates offices with kitchen and toilet facilities on each floor. Externally, there is a surfaced car park which is marked for circa 20 car parking spaces with secure boundaries and a gated entrance. This centre is a former ceramic production premises originally constructed in 1953 and now the subject of a recent redevelopment project, to create a range of ground floor and upper floor part-serviced office suites. The entire building has recently been refurbished to an excellent standard throughout and now offers light and airy office accommodation in a range of different sized suites. The accommodation benefits from suspended ceilings with recessed lights, dado trunking and is carpeted. 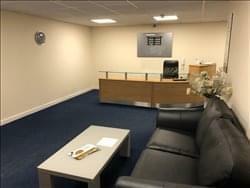 The suites are accessed via a central reception area which leads to the stairs and passenger lift, and will appeal to a wide range of large and small businesses.